Ok, I’m well behind the times when it comes to seeing this. That said, I’m well behind the times about seeing anything in the full priced theater, perhaps you are as well. This weekend Maleficent came out to Redbox. I was sceptical at first. The original Sleeping Beauty as imagined by Disney was never my favorite and I’ve found many retold fairy tales lacking. Then again, I loved Ever After and Wicked so let it not be said that I’m overly biased. Whoever they found to create and piece the story together to cast Maleficent as a misunderstood and misused magical creature was either a mad genius or made a pact with the devil to get it this good. 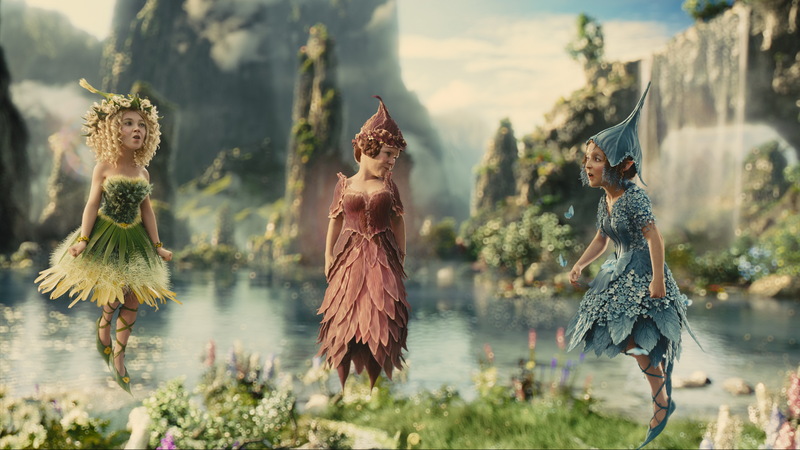 In this story, Maleficent begins as a carefree and kindhearted fairy of the Moors, a wild and wonderful place filled with all manner of magical creatures. The Moors kingdom has always had a rocky relationship with the adjoining kingdom. She meets Stefan, a peasant boy who wanders into the Moors to find treasure. The two begin a friendship that evolves into what Maleficent believes is true love. 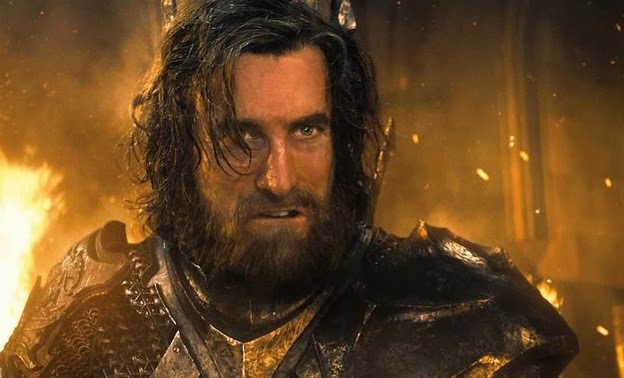 Stefan (played by Sharlto Copley), as we remember from our Disney of the past, is King and father of Princess Aurora. He has to do some pretty terrible things to become so, including taking from Maleficent the one thing she holds most dear. If you want to know what that is, watch the movie – it’s really horrible. Needless to say, Maleficent is heartbroken, enraged, and willing do anything to make Stefan pay for his betrayal. This is where the curse and those silly fairies come in. Aurora is taken from the kingdom to be raised by these truly annoying woman who don’t have a half-a-brain to rub between them. In fact, their incompetence is so severe that it is Maleficent herself that unwittingly begins to look after and care for the child from a distance. For me, this is where things get interesting. 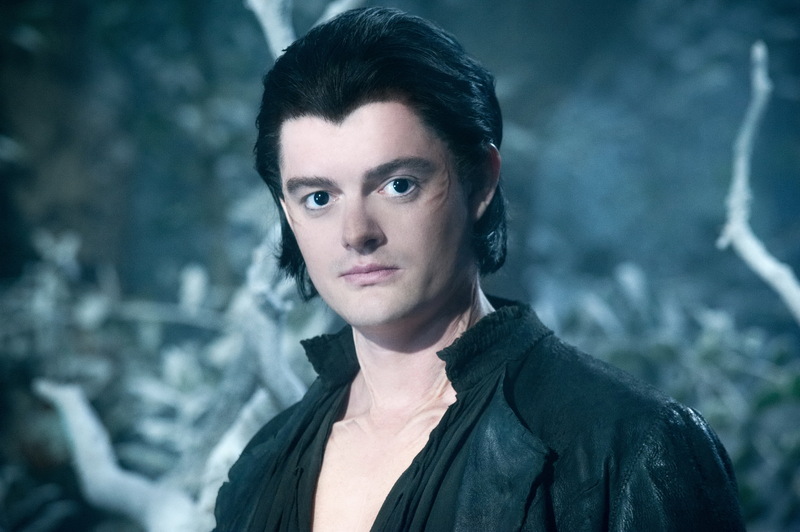 Enter Diaval played by Sam Riley, the raven Maleficent turns into all sorts of different creatures, including human, to be her spy. The writer in me wants to go into all sorts of detail on why he’s there and why his character is so effective, but I’ll spare you. He’s awesome, and quite possibly my favorite character. 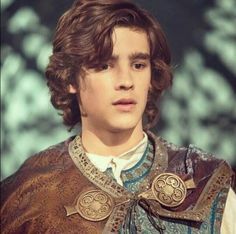 Prince Phillip is played by Brenton Thwaites and in this movie he does pretty much nothing than provide some continuity from the original Sleeping Beauty. He’s there for the kiss – but wait, there’s a twist! 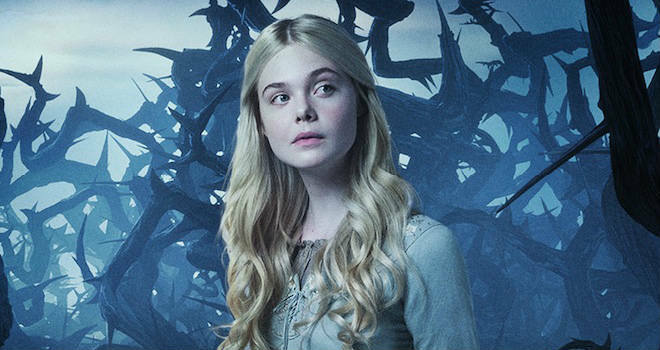 And then, of course, we can’t forget Aurora played by Elle Fanning. As much as Sleeping Beauty is her story, she spends this entire movie being acted upon. She gets cursed, she gets raised by the idiot fairies and indirectly by Maleficent, she meets Phillip, she pricks her finger, she falls into an endless sleep that doesn’t seem to last more than a few minutes in this movie, and she wakes up and becomes queen. What makes the last half of the film so interesting is how Maleficent changes from kind and free-spirited to dark and brooding and then back again, and the realizations she has to make to do so. In the process of raising Aurora she discovers the one thing that she thought didn’t exist, the one thing so vital to her life that all that is good disappears when it’s gone and returns when she rediscovers it. To find out what it is you’ll have to watch the movie. Happy Halloween dear readers, it’s time to get your creepy on! Whether it’s hanging out at an awesome party with friends or watching a spooky favorite at home with your favorite person or fur baby, have a great time and stay safe. 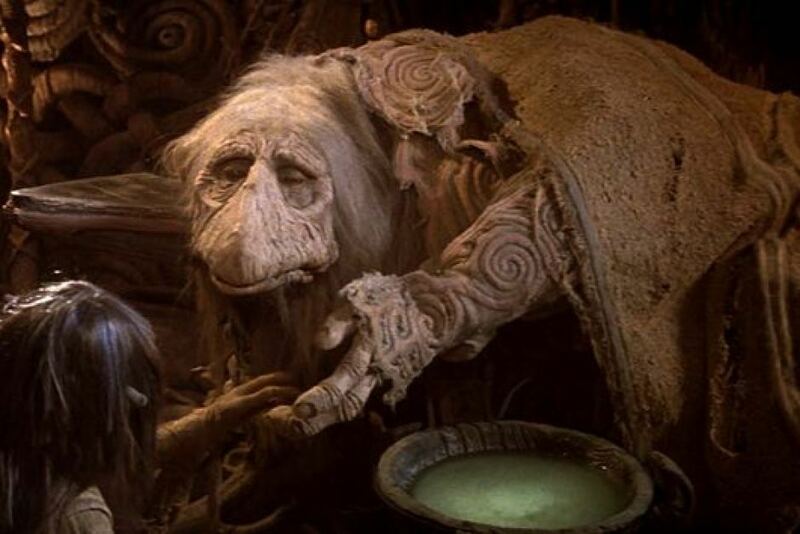 The Dark Crystal and Labyrinth – Growing up, it became tradition to watch both of these movies in the week leading up to Halloween. There was something about the magic and the puppetry that was very appealing to me. Well, that, and David Bowie has an appeal all of his own. Rumor is that there is a sequel to Labyrinth in the works, I’ll keep you updated. Watcher in the Woods – Admittedly this is an oldie, but it still gets me everytime. And, yes, that is Betty Davis. Nightmare Before Christmas – I say that this is kid friendly even though I can’t get my kids to watch it still. I get a kick out of it. 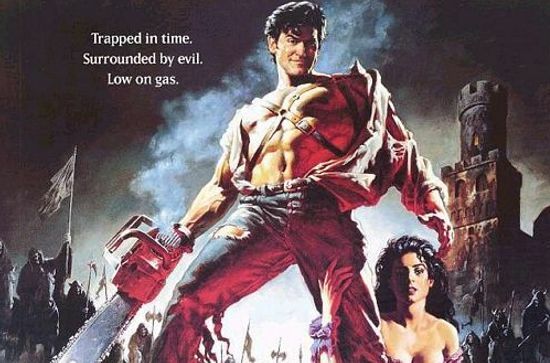 Army of Darkness – Ok, I’ll admit this is slightly out of my comfort range when it comes to language and gore, which shows immediately what kind of horror film watcher I am. (A wimpy one, not going to lie). But, there’s something about Bruce Campbell that I love. Plus, it’s laugh out loud funny. The Mist – This movie based on the Stephen King novel packs so many punches that you’ll question going out into the fog for the rest of your life. Shaun of the Dead – Take your classic zombie movie and turn it upside down and you get this hilarious parody. Again, this is more funny than scary, and that’s why I like it. What are your favorite creepy movies? Share in the comments below! Just in time for Halloween I’ve found what has to be the strangest Michael Jackson music video out there – the 40 min long “Ghosts” featurette. In it, a quiet community is up in arms about one of the stranger residents because he doesn’t fit the norm. Although it was shot in 1996, the film is meant to be set somewhere in the fifties which makes it stranger to see an angry mob of Leave it to Beaver wannabes storming his house armed with torches, yes, actual flaming torches, but no pitch forks – that would be silly. Jackson does his best to scare the townsfolk away by making silly faces. They aren’t impressed so he summons his legion of ghost family who dance and gyrate and pelvic thrust in a way that only is found in a Michael Jackson video. Some interesting notes – the film was co-written by none other than horror novelist Stephen King. Also, Jackson plays five different roles including that of the stuffy town mayor who wants to run him out-of-town. It isn’t Thriller by a long shot and I can only guess that this was trying to relive those glory days. If anything it comes across as gross and a little silly. Still, it was enough to keep my nearly three-year old up all night with nightmares. Wanna know more? Check out the wiki. 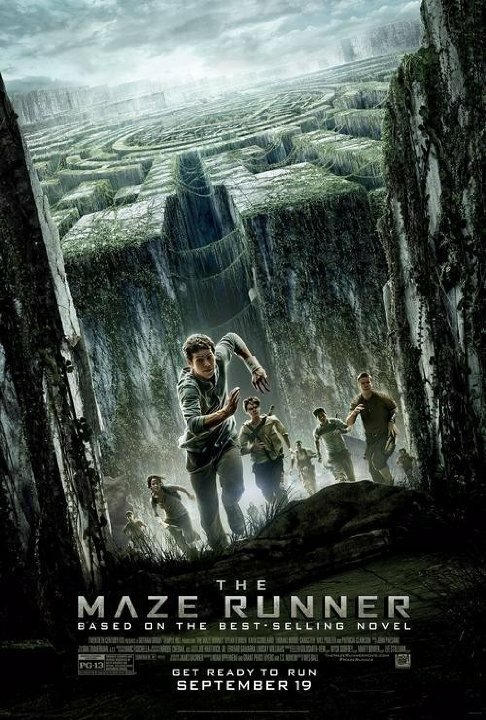 One of the biggest movie releases this fall is the Maze Runner based on the #1 New York Times bestselling novel by James Dashner. My Twitter feed has buzzed about everything about this film for weeks now which makes it all the more sad that I won’t be able to see it until it hits Redbox. It’s not that I don’t want to see it right away, I do. I read the book several years ago and found a brilliant and innovative world with a compelling story. It has the right bones to make an awesome movie. And from early reviews, it is meeting expectations. I guess I’m picky. When I go see a movie I want to go with my hubby which means it has to be in the evening or during the weekend. I can’t bring along the kids for two reasons, the first being that the oldest two don’t handle situations of peril very well and would either begin crying or would demand to leave and the youngest would simply cry and demand to leave because he doesn’t like movie theaters after the first 20 minutes. The second reason is that buying tickets for five at full evening prices and then add in the popcorn and drinks costs about as much as a car payment. My apologies to the franchise in advance. Come December I will get the DVD, pop some of popcorn and curl up with my sweetie in my jammies and see what everyone has been talking about. What movies are you waiting to watch?